This is a Drawing. It was designed by Pete Wozena and from the office of General Motors. It is dated 1961 and we acquired it in 2017. Its medium is color pencil, graphite, brush and gouache on paper. It is a part of the Drawings, Prints, and Graphic Design department. 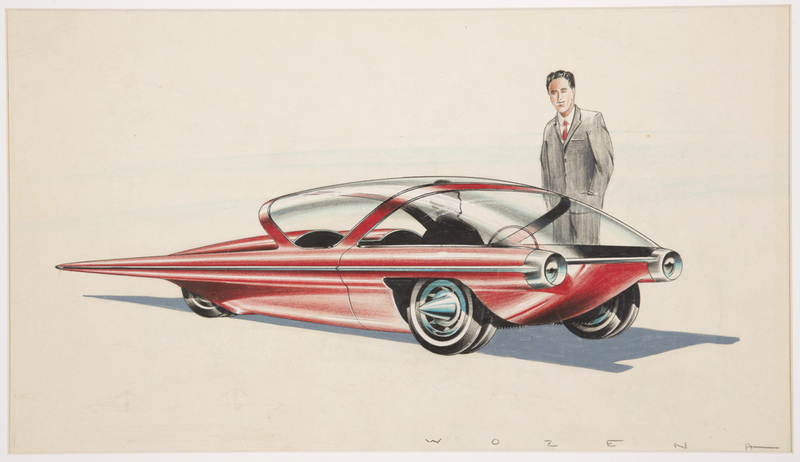 Pete Wozena’s 1961 concept car drawing embraces a later use of an aircraft design scheme, in this case with an unusual and striking three-wheel model with bold pointed hubcaps. The panoramic windshield would have provided the driver with an immersive view of the landscape. 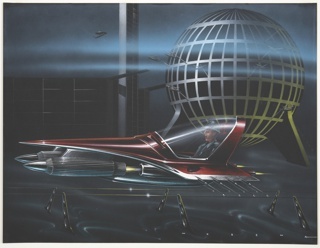 Car designs that looked like aircraft were most popular through the 1950s—the vision of flight stemmed from an obsession to find a way to effectively use a turbine-engine in a car, and the style reflected a desire to see the automobile as a retreat and escape from the drudgery of everyday life. The 1959 Cadillac Cyclone was GM’s last Motorama dream car with direct design influences from aircraft, and Wozena’s drawing was likely towards the end of this sweeping trend in automotive design. 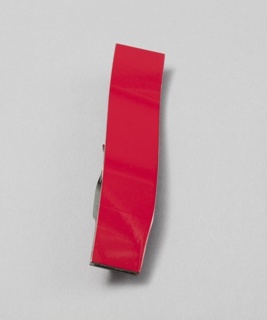 This object was fund: General Acquisitions Endowment and catalogued by Julie Pastor. It is credited Museum purchase through gift of Paul Herzan and from General Acquisitions Endowment Fund. color pencil, marker, graphite on paper. fragment cut from painted steel body of a mercedes benz.